Tomatin - Scotch Malt Whisky - Region: used to be classified as a Speyside (Jackson) but officially a Highlands (SWR 2009). While the Tomatin brand may have a fairly low profile on the shelves of liquorists around the world as a single malt, vast quantities of it were used in various blends like Antiquary and The Talisman. 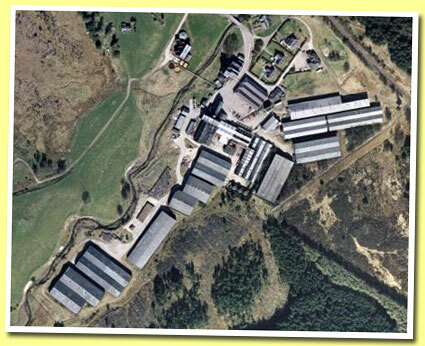 Measured by production capacity, Tomatin is one of the top 10 malt whisky distilleries in Scotland. The Tomatin distillery was founded in 1897 during the 'whisky boom' of the late nineteenth century. The 'Pattison Crisis' that followed the boom wiped out many distilleries, but Tomatin managed to struggle on for a few years before it went bankrupt in 1906. The Tomatin Distillery Co. Ltd. resumed production in 1909 and for half a century the .... More on Malt Madness.